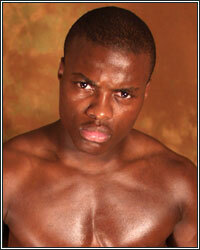 PETER QUILLIN: "MCEWAN IS GONNA TRY TO MAKE A STATEMENT, BUT SO AM I"
"You're gonna always see what I always do. I take every fight like it's a championship fight. I don't overlook anybody. I'm looking for hard work. You know I'm a full-time fighter. At the end of the day, come November 5th, Craig McEwan is gonna try to make a statement, but so am I. I hope he is doing exactly what I'm doing in training camp to get ready," stated undefeated middleweight contender Peter Quillin, who gave us an update on how his training is going for his upcoming November 5 clash with Craig McEwan. Check it out! JR: What up Pete? I know you got a fight coming up. Talk to me about it! PQ: November 5th is a good opportunity to create more opportunities for myself, you know? I'm not taking Craig McEwan lightly at all. I'm looking to get some hard work, get some rounds in, and get closer to a world title. JR: It looks like you're moving forward to bigger and better things. In your opinion, what do you think this will ultimately lead you to? PQ: This is definitely going to get me a world title shot in 2012. It's going to put me in the category of the real deal fighters. JR: Pete, you're on HBO now, so what can fans on expect? Are we gonna see you do what you always do or can we expect something different? PQ: You're gonna always see what I always do. I take every fight like it's a championship fight. I don't overlook anybody. I'm looking for hard work. You know I'm a full-time fighter. At the end of the day, come November 5th, Craig McEwan is gonna try to make a statement, but so am I. I hope he is doing exactly what I'm doing in training camp to get ready. JR: I know that you're always in good condition, but talk to me about training camp. PQ: This camp, I've been working with Eric Brown along with Freddie Roach. Both of them give two different point of views when it comes to Craig and what they wanna see me do in this fight. I know that I'm very strong. I'm very hungry. I know exactly what they want me to do and I plan to execute it. Also, I want to thank Sechew Powell and Ronson Frank for helping me prepare for this fight. They have been giving me excellent work and pushing me to be in the best condition for this fight. JR: Be honest Pete, you think McEwan can last with you? PQ: I can say that he has the ability to last with me, but we don't know if he can last with me. Like I said, I have been training very, very hard. I train the same way for everybody. I train to give a great performance. The goal is to get a victory and get him out of there. JR: Do you think he is a predictable fighter or an awkward fighter? PQ: I think he is a very awkward fighter. I think he is going to make me work a lot harder because of that awkwardness. At the same time, I know that his work ethic is questionable. I'm not sure what heʼ's doing, but I hope he is doing the same thing I'm doing because we are in a business and we are trying to entertain the fans. I have sparred him before and got a few rounds with him, but I expect a totally different fighter that night of November 5th. I know that he has been very ungrateful as far as training at the Wild Card Gym because he has criticized Freddie about spending enough time training him. As far as I go, I always appreciate the time Freddie gives me. I always try to make the best of it and learn the most I can. I have 25 fights and I always make sure that when I step in the ring, people consider me to be a serious fighter. I'm not taking anything away from Craig. I know that he has a family to take care of, but I have a mother and a father that always supported me, so again, come November 5th, I'm looking to lace up the gloves and get him out of there. JR: How do you think this fight will end? Will you push for a KO or get rounds in? PQ: One thing that I like about Freddie and Eric Brown is that they don't put the pressure on me to knock a guy out. They are mostly creating opportunities to get the victory. One thing about me is that I know how to win, so it's easy for us to understand each other. So come the night of the fight, I will be victorious. He had his chance to be on top of the game and some people have had an eye on me. I call this "Destroy and Rebuild", so I'm going to knock that building down and build a new one up. JR: Good luck, Pete. We'll get you back on after your fight, Kid. PQ: Definitely. I want to thank FightHype.com for catching the latest and greatest on me. I just got done with a 90-minute workout and a lot of pain and suffering. Through pain, I see glory. Thank you for giving me a call and catching up with me, J.